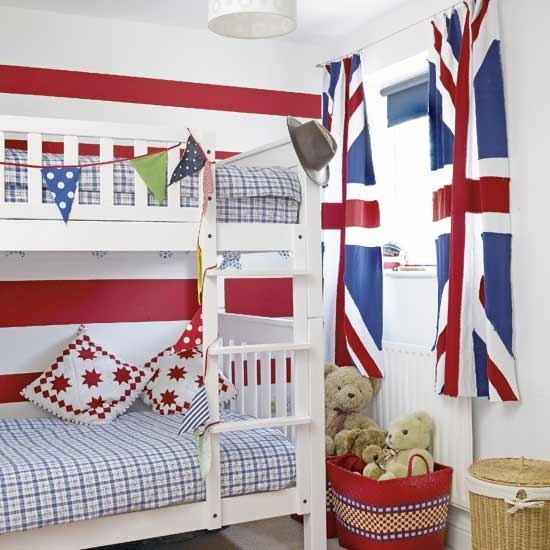 Mix and Chic: Modern Union Jack Children's Room Inspirations. An all white serene baby nursery receives a dose of fun and color with the addition of an unexpected Union Jack rug. Simply accessorizing with red and blue accents in an all white study/ homework area to achieve some British flair in a kid's room. A pair of bright Union Jack curtains on the window becomes the focal point and color inspiration for a cheerful and lively children's bedroom. 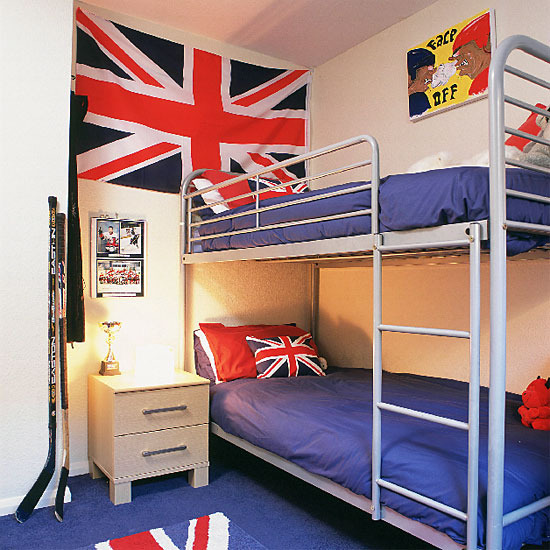 A boys' modern bedroom receives some fun and color using an Union Jack themed flag, pillows and rug. Incorporating an Union Jack rug and a fridge with an oversized blue world map as a backdrop along with red, blue and white accents throughout helps to create a crisp, modern and chic bedroom. 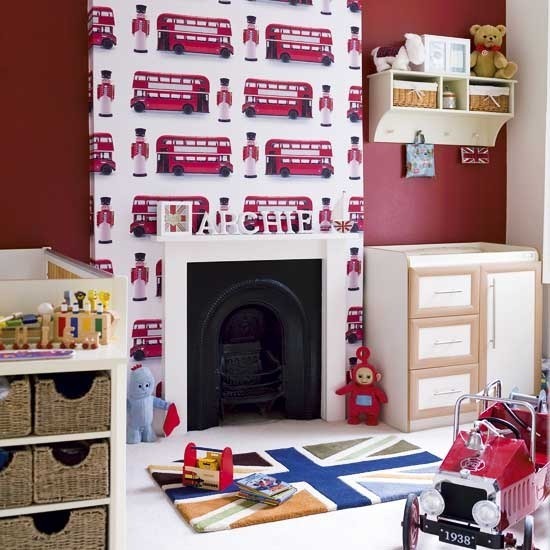 A double decker bus and British soldier wallpaper on the fireplace wall and Union Jack accessories make a fun kid's room. So great! Love this for a child's room. Love it on the dog in the second picture! By the way, I love the new look on your blog; it's so cute!! Nice Jessie. All great picks-especially love the last two pics. P.S. I awarded you A lovely blog award. Details on my latest post. A big thanks to you, MBL. I feel so honored! :) You are so sweet.